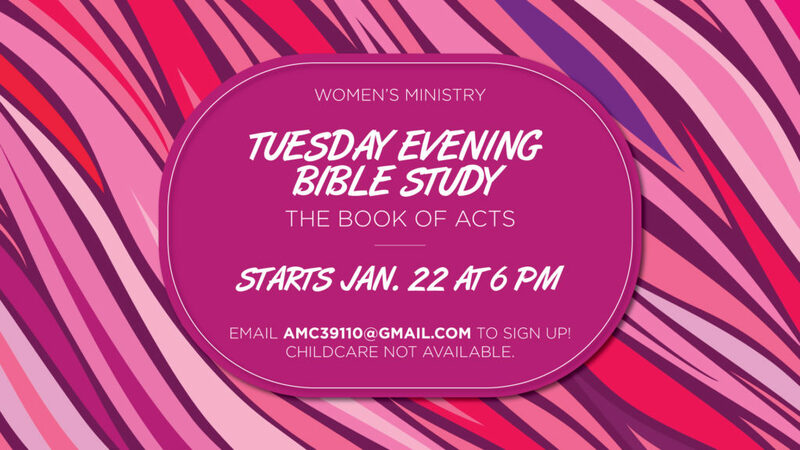 Our Women’s Tuesday Evening Bible Study for Spring 2019 starts on January 22, 2019 and will be focused on the Book of Acts. There will be no childcare available. Please register to join us by emailing Annie at amc39110@gmail.com.